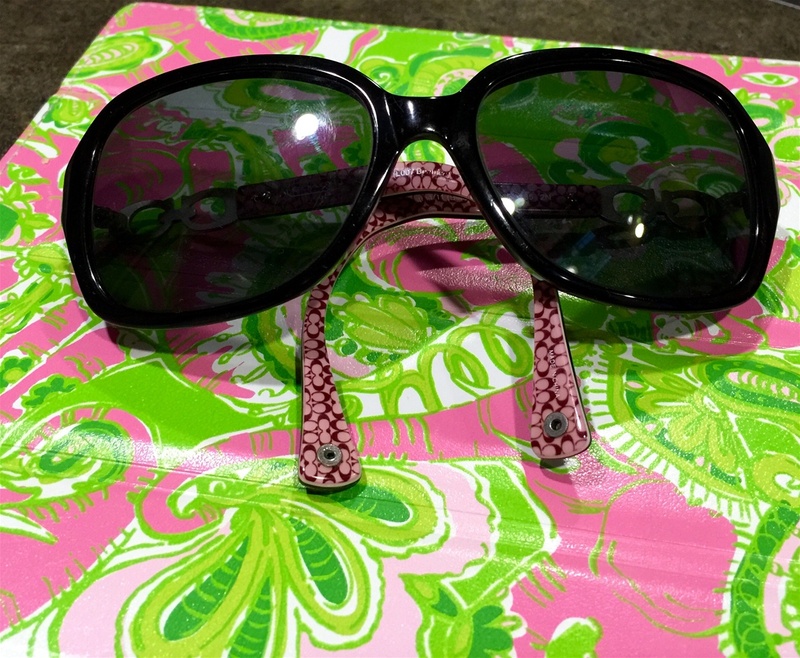 Oversized sunglasses! These babies can hide so much! When camping, this usually involves lots of outdoor activities, which sometimes requires little or no makeup. This could lead to some disturbing pictures! However, oversized sunglasses hide all of that...it's like editing a photo before it's even taken. You may feel like you resemble a bug, but trust me; a little lipgloss with sunglasses and no one will be aware of the lack of makeup or bags under your eyes! 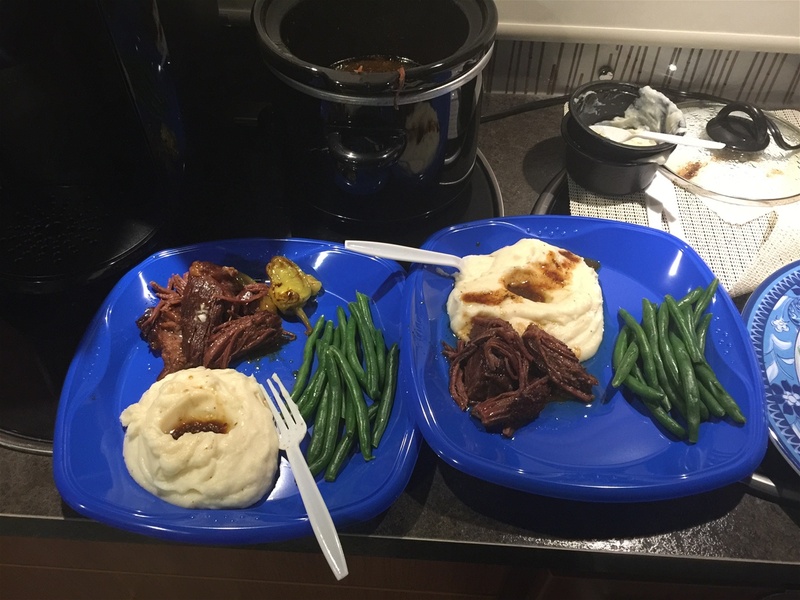 Your camping pictures will look like a million bucks! 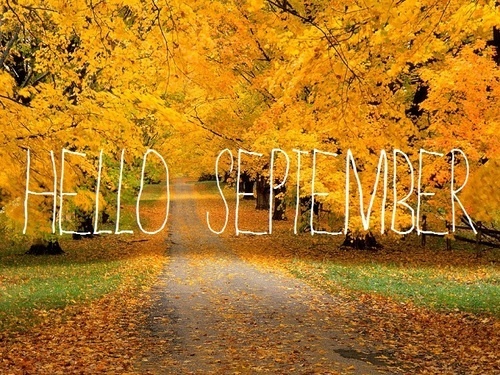 Travel in September! The weather is perfect, traffic is light, and places are much less crowded. You will also find better deals during this timebecause it is the "down time" for most businesses. Plus, this gives you rest and relaxation before the craziness of the holidays hit! 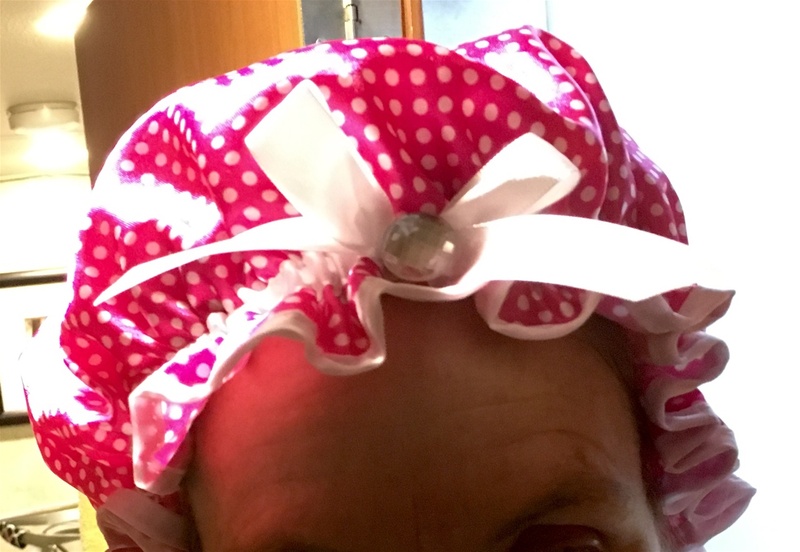 Shower cap! Showering in an RV can sometimes be hazardous, especially for your hair! Likely, you washed your hair last night and it's looking quite fabulous but now it's time to shower this morning. It will be impossible to shower in the Barbie-sized shower without getting your hair wet. Not just any shower cap, though- please don't look like the lunch lady or like you left the hair salon before they were finished with you. Invest in a cute, feminine shower cap- your hair will thank you! Be organized! 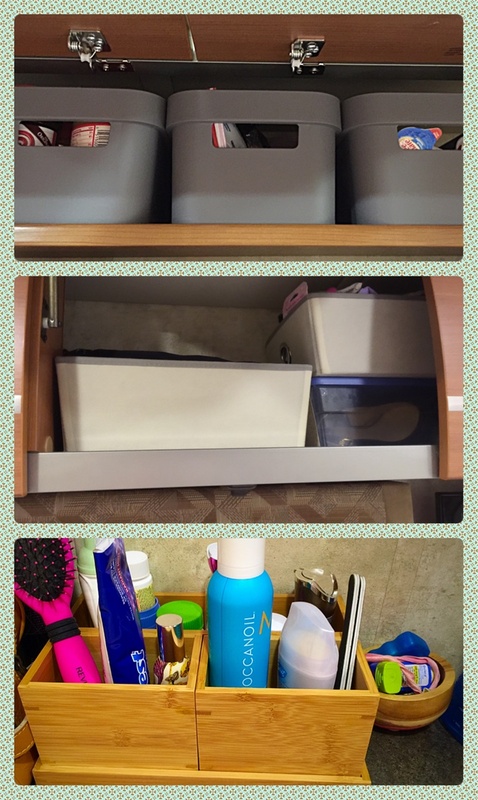 Bins are a great way to keep items organized and from sliding around in the motor home. It also allows you to store things out of the way and makes your living areas much less cluttered. Measure the size of your different drawers and cabinets then skip off to buy bins to fit in those spaces. 2-3 bins in each space works well and gives you plenty of options. Take it a step further and put some fancy labels on those bins! Happy organizing! A happy glamper is an organized glamper! 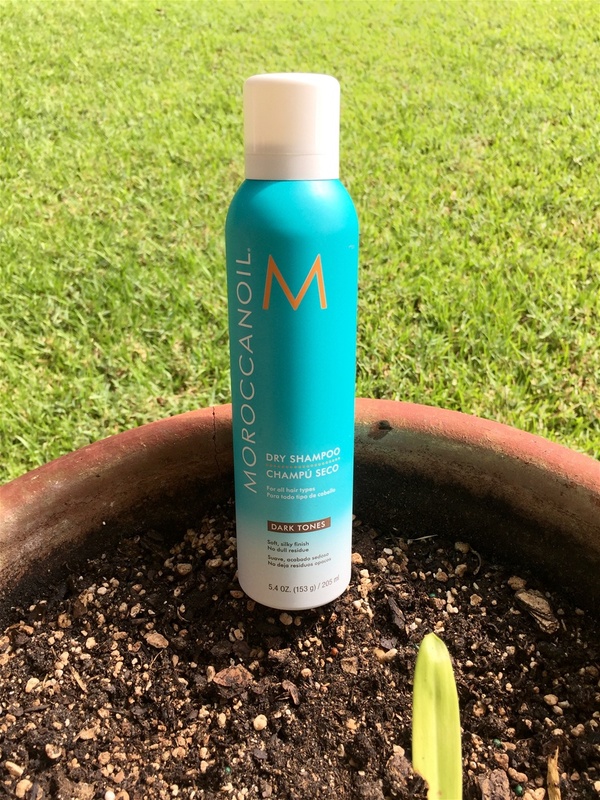 Dry shampoo!! Fixes dirty, fixes smelly, and fixes flat! You never know what kind of heinous situations may occur (lack of hot water, empty water tank or dirty, smelly water) so be prepared! This stuff is a miracle! You do not want to roll up to the Cracker Barrell looking like a hot mess! Coffee...a must have! Use real coffee cups, don't skimp with styrofoam! We are camping in style! 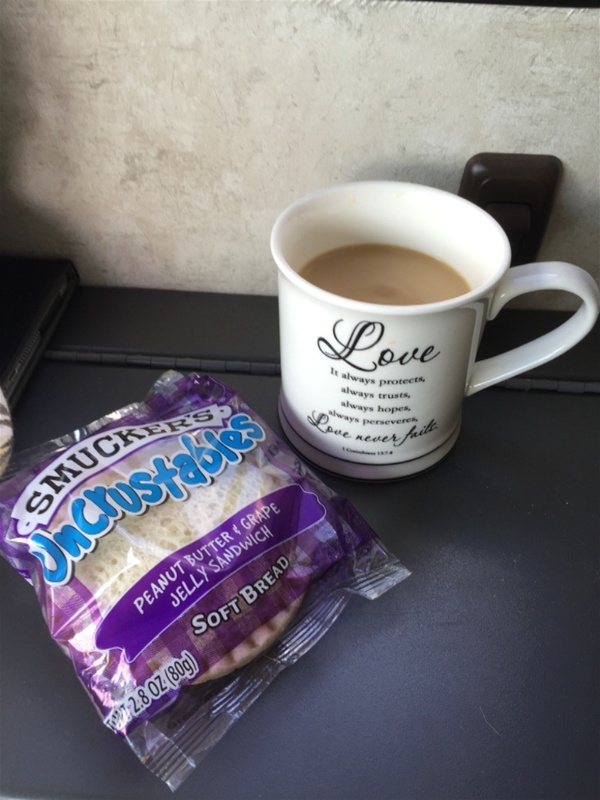 If you want to throw in some real camping feel, enjoy a peanut and butter crustable with your pumpkin spice coffee (yes, Dunkin Donuts pumpkin spice- we are glamping, remember)!